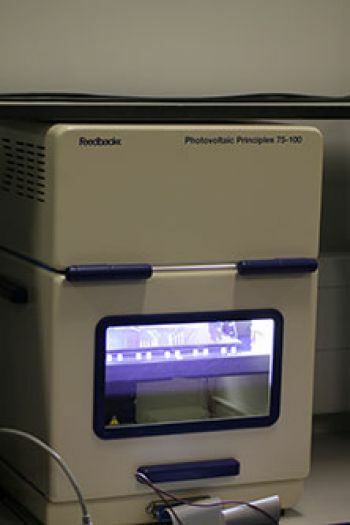 The Department of Electronic and Electrical Engineering takes order of lab equipment valued at £130k. 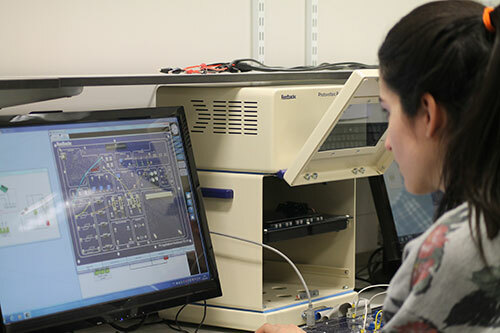 Students in City's Department of Electronic and Electrical Engineering are now benefitting from a recent lab equipment upgrade worth £130k. This includes photovoltaic trainers, three phase synchronous machines, AC motor speed control machines, single and three phase transformers, thryistor controllers, a power systems mainframe and power systems virtual instrumentation. The equipment is essential in training students to be highly skilled professionals in the energy industry. The photovoltaic trainer, for instance, is a desk-top instrument which teaches the fundamental principles of photovoltaic energy. The 'photovoltaic effect' is a method of energy generation which converts solar radiation into an electrical current using semiconductors arranged into solar cells. "It is hoped that this new equipment will provide students on the MEng in Electronic and Electrical Engineering and MSc in Renewable Energy and Power Systems Management courses with much-needed practical experience to give them the necessary knowledge to begin potentially rewarding careers in the power and energy industries." Photovoltaics is a method of converting solar energy into direct current electricity using semiconducting materials that exhibit the photovoltaic effect.